The upcoming newest Android L mobile operating system for smartphones and tablets has been announced by Google at I/O 2014 developer conference, and now the latest Android L Developer Preview Version is available for selected Google Nexus devices including; LG Google Nexus 5 Smartphone and Asus Google Nexus 7 (2013) Wi-Fi model Tablet. So if you're proud owner and user of Nexus 5 and Nexus 7, then this article will provide you working method, Guide and Tutorial on How to Manually Download, Setup, Install and Run Android L Developer Preview on Nexus 5 and Nexus 7 devices officially. 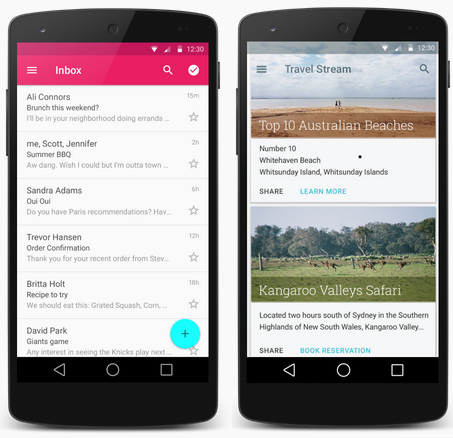 Android L Developer Preview system factory image file is also available at Android Developer Portal website. The Unlocked Nexus 5 and Unlocked Nexus 7 device users and developers can install and flash Android L Developer Preview firmware beta build after setup and configure the preview Android L SDK, Remember that the software won't work on Nexus 7 (2012), nor on newer LTE variants. For end users (general-public), OTA (Over-the-Air) wireless software updates will be available from Fall Late-2014 onwards. Initially, Android L Developer Preview beta build version is only compatible and supported by following Google Nexus devices. 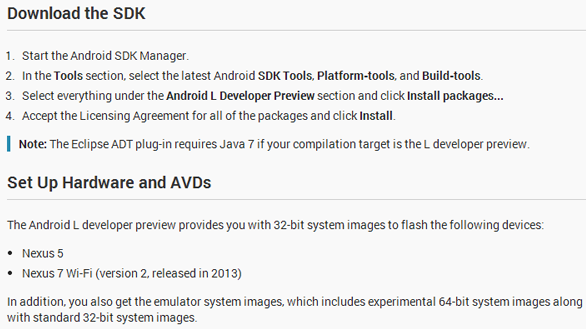 You can read the official detailed instructions for downloading / installing / flashing of Android L Developer Preview HERE, or in below image. You can also follow our own detailed tutorial and guide for Android L beta preview installation below. Back up your Nexus device data and information to avoid any damage. Ensure Android USB Drivers for Nexus 5 and Nexus 7 is installed. Ensure USB Debugging Mode is enabled. Setup and Config Android ADB and Fastboot on Windows, Mac or Linux PC / Laptop. 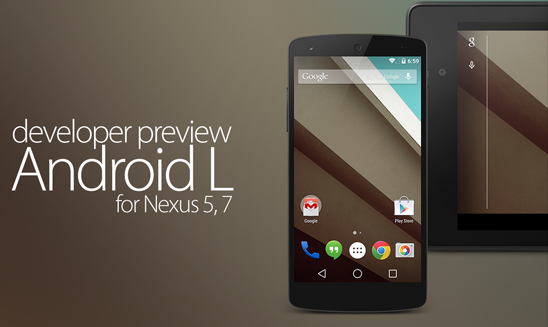 How to Install Android L Developer Preview on Nexus 5 and Nexus 7 Manually? Step 1: First, Connect your Google Nexus device with your PC / Laptop computer via micro USB data cable. Step 2: Now, Download and Install Android SDK and Android L Factory Image for Nexus 5 and Nexus 7 via above mentioned links, after that install both the tools manually. Step 3: After that, Hold your device's "Power + Volume Down" buttons simultaneously, until you get the dark splash screen having system details. It's called "Bootloader Mode". 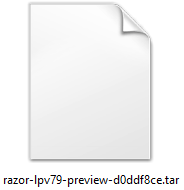 Step 4: Now, The downloaded Android L factory image will be a .tgz file format. You can extract the archive contents with 7Zip Tool or any other tool, after that you’ll get a .tar file extension. Now you need to again extract this file, to get a folder contains 6 individual files. 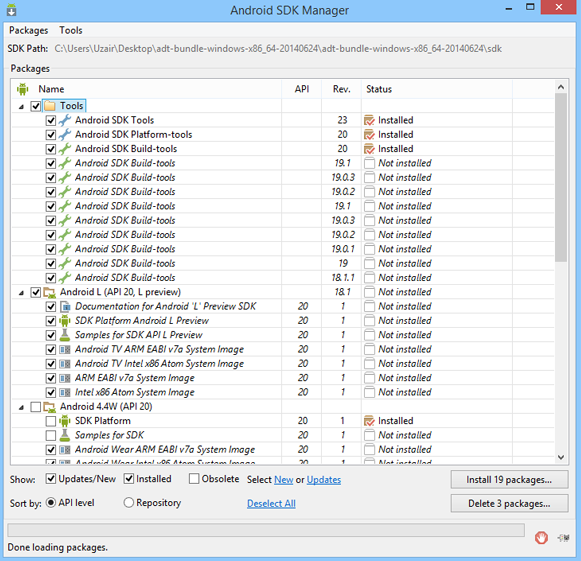 Step 5: After that, Directly put all these six individual files into "Platform-tools folder" of the Android SDK (you can skip this step, if you have already set up ADB as an environment variable). Step 7: Now at final stage, Make sure your Nexus device is still connected via USB data cable into "Bootloader Mode" (Step 3), now double-click the "flash-all.bat" file available within those six copied files (Step 5). If you're on Mac OS X, Just Click on "flash-all.sh" file. Step 8: Now, you will need to have a "Unlocked Bootloader" on your Nexus 5. If not, simply run "fastboot oem unlock" command in cmd prompt to unlock the bootloader. Step 9: Once the whole flashing process gets complete, Your Nexus device will reboot and you will be welcomed by Android L on Nexus 5 and Nexus 7 home screen. Congratulations!! You're done.